Here are some links to other diecast and photography websites that we often frequent. Check ’em out by simply clicking their logo. If you would like to participate in our link exchange, please contact us. Orange Track Diecast – A fellow HW-Wiki admin and friend has put together a site that focuses on the joys of Hot Wheels collecting by showcasing specific releases, relaying news/events & even providing Top 10 lists. 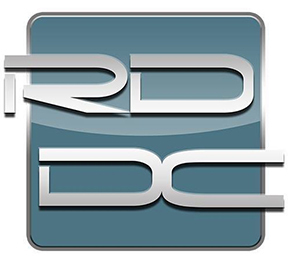 Rodger Dodger’s Diecast Corner – Unboxing, education, and tutorials. All things diecast but the main focus is Hot Wheels! HW Stangs – Here you will find any information you are looking for when it comes to Mustang Hot Wheels. Looking for information about that certain Mustang variation? HW Stangs has you covered. 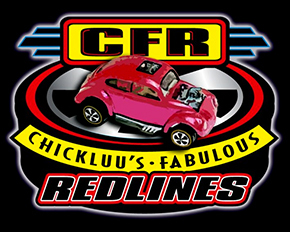 Chickluu’s Fabulous Redlines – Are you a redline collector? If you are and don’t know about this site, CHECK IT OUT! Great forum with extremely knowledgeable members. Simply an asset to the redline community. The Race Case – Marc Bosworth created The Race Case to showcase his collection and to serve as a platform for ruminations on all things related. Stop on by and check it out. T-Hunted – If you are a Hot Wheels collector and you don’t know of this site you are simply missing out. T-Hunted features the latest Hot Wheels releases weeks before they hit the stores. North Carolina Hot Wheels Association – Simply stated, NCHWA is a website dedicated to the Hot Wheels collecting hobby since 1998. NCHWA is a great source of information. There is even an online price guide. hobbyDB – The ultimate database platform for collectors of all kinds, hobbyDB aims to catalog every collectible ever made! This site is growing like crazy! Be sure to check out hobbyDB.